McKesson Unna Boot from HealthyKin.com is ideal for the ambulatory treatment of stasis leg ulcers, lymphatic edema, thrombophlebitis, eczema of the leg, minor fractures, sports injuries, sprains and strains. This non-raveling gauze is evenly impregnated with a non-hardening zinc oxide paste. Have always been pleased with the McKesson Una Boot. I have recurring leg ulcers and this product works very well to heal my leg ulcers. Best Unna Boot ever! It is long enough and has the right amount paste on it. I've tried other brands and they were almost dry! McKesson Unna Boots are the best I have ever found, whether simply impregnated in zinc oxide or with calamine added form. The only other good Unna Boot I have found lacks the spool, which provides for smoother installation. 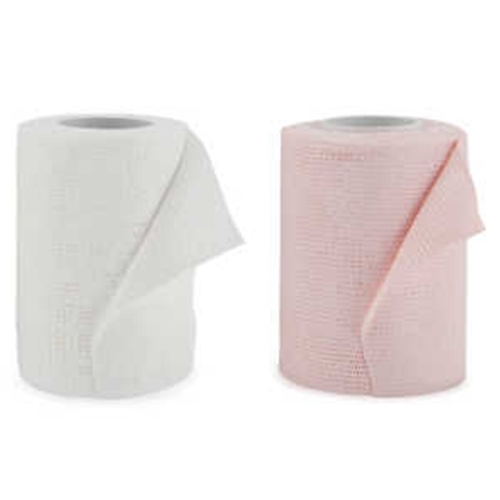 It is also easy to find the beginning of the roll because the underlying gauze is of superior thickness. The icing on the cake is that McKesson's products cost 1/2 of Gelocast! Perfect for venous stasis ulcers or simple lymphadema! This is the best product on the market and pricing is great when you have to do these treatments several times a week . I rate this every time I order. This is the best product ever for leg issues. I wouldn't want anything else. Thank you for a great product. Very satisfied with this product. It works very well for my leg ulcer. A Plus all the way! and great communication from healthykin.